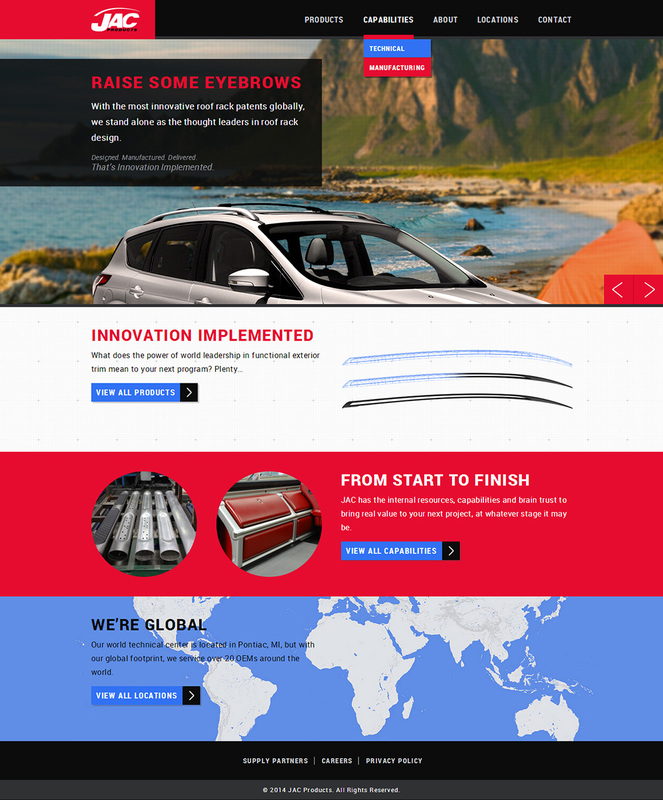 Innovation Implemented. 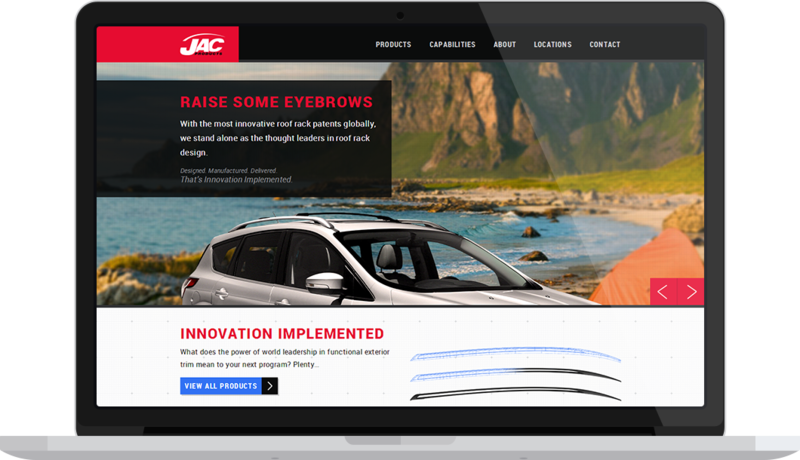 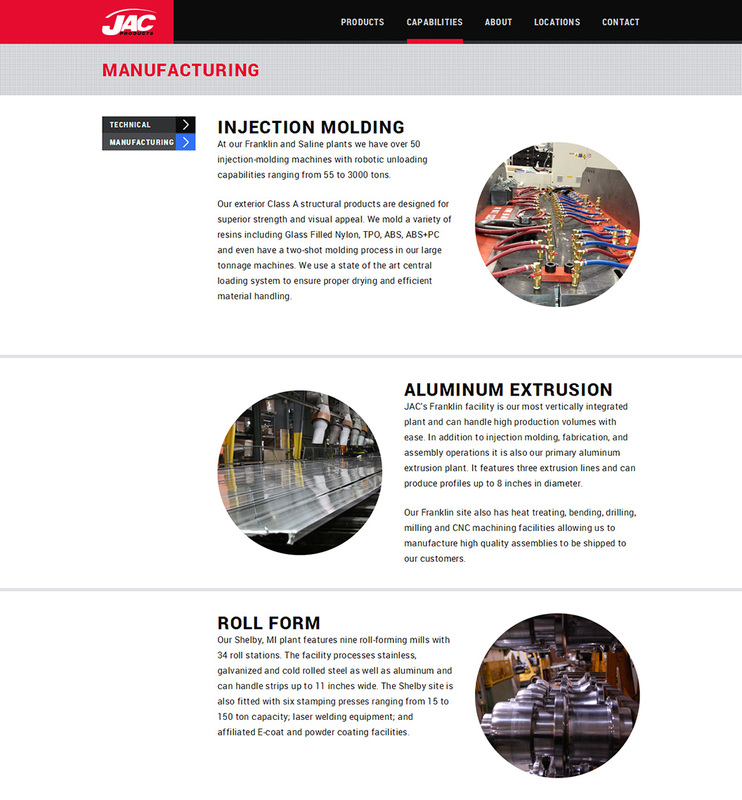 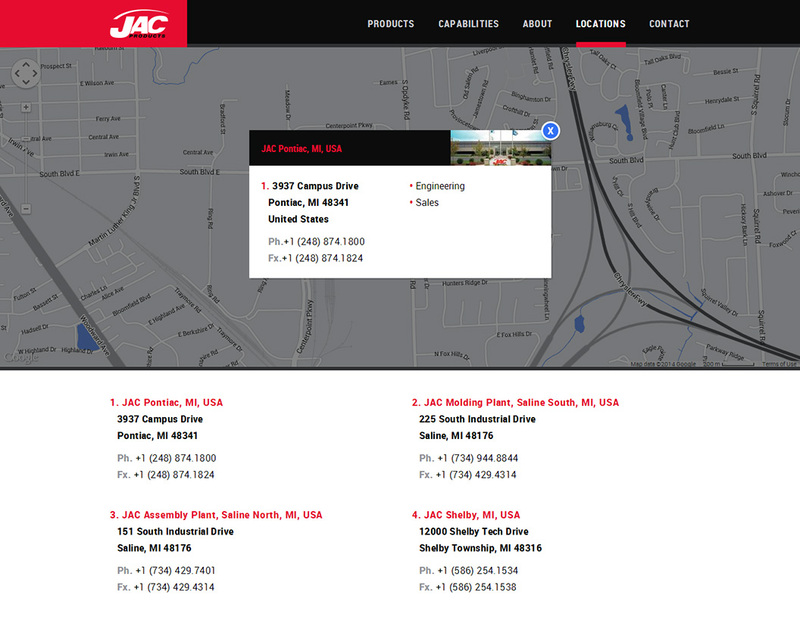 JAC Products is an award-winning leader in roof rack manufacturing and design. 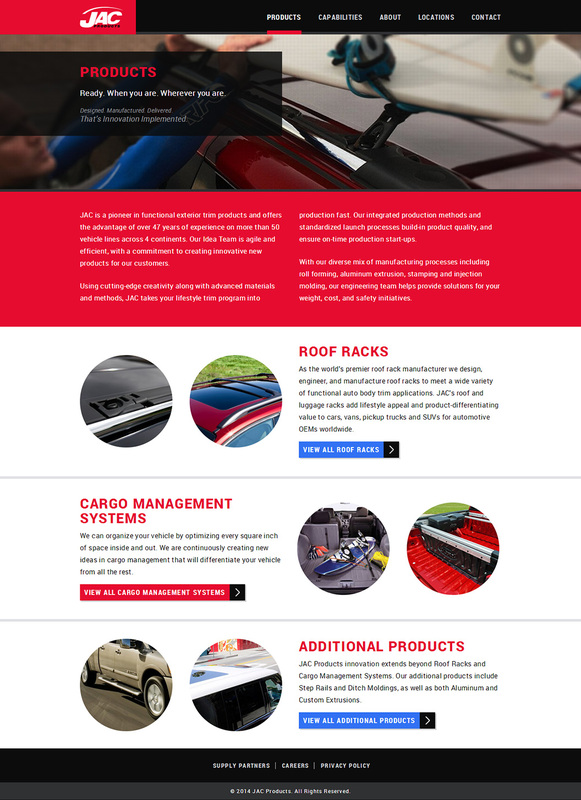 The high contrast colors and modern design work to give the site a technical and sporty aesthetic.